Tabletresellers.com is a company that aims to create a more successful and fun future for a wide variety of institutions, such as: schools, hospitals, and offices. There is nothing better than having access to the world at your fingertips. We provide education to the masses, as well as intelligent ways to show how far technology has come over time. Our tablets are sold at very low prices so companies and schools can have access to the dire information they need to grow in every way possible. We want to help those with disabilities to overcome any stigma toward them. There are numerous programs that will work with specific special needs so no student gets left behind. Hospitals will be able to inform their patients about what is going on with their bodies in “easier to understand” terms. One very important thing is to know that productivity overall will skyrocket over using just plain old textbooks as a way of teaching students and faculty in any environment. Having a proper tablet will create a better future for all those around. Tabletresellers.com is changing the way the world learns today. The need for the correct learning device is extremely dire. We can learn so much more by having access to the appropriate tools at all times. We help students, businesses, hospitals, etc. build better systems for learning and teaching. There are no limits to what can be achieved with the proper education. We want the world to understand why things happen the way they do. 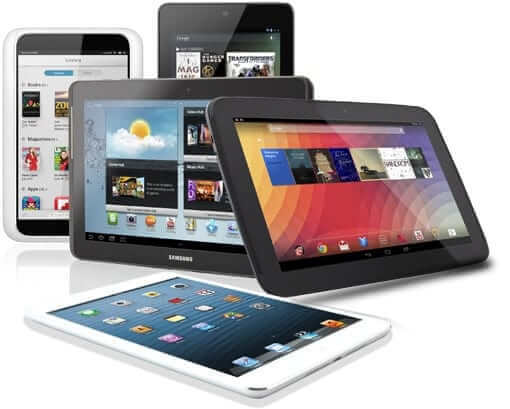 The benefits of our tablets are as clear as day: easy to use, convenient, flexible, and secure. Having a miniature computer in your hands whenever a question pops up into your brain is now the future. Don’t be left behind.